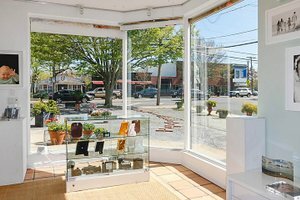 This charming gallery and retail space is located in a busy area of Bridgehampton. Advantageously positioned on a corner, it benefits from good passing foot and vehicle traffic so is ideal for Pop-Up Stores and Showrooms. This space has windows facing two streets and offers excellent visibility. The atmosphere inside is bright and welcoming and there are a range of product display features making this a ready-to-rent space perfect for brands looking for a simple operation. Outside space available as well. 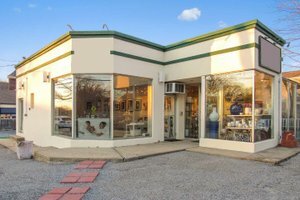 Located among many restaurants, bars and independent stores, this space is perfect for artists and brands to make their ideas happen and connect with customers.